On 13th March, Intel, U.S. chip giant, took its first step in driverless-tech industry by confirming acquisition of Mobileye, an Israeli company specializing autonomous vehicle technology. 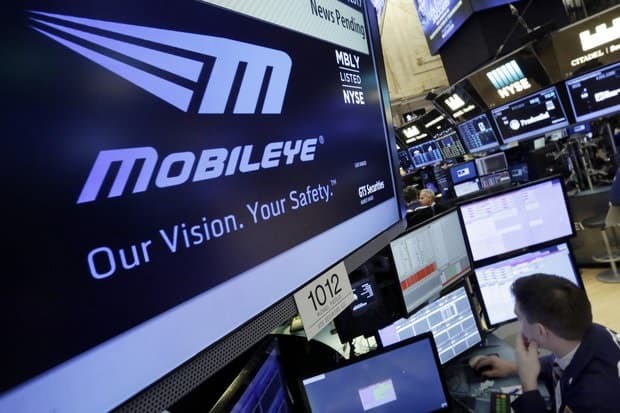 Mobileye was valued at $15.3 billion making it the biggest acquisition of an Israeli tech company. Even the Prime Minister of Israel, Benjamin Netanyahu, congratulated Ziv Aviram, CEO Mobileye, for grabbing such an important deal for Israeli economy. Intel has already planned a collaboration with BMW to put 40 self-driven cars on test circuits by the end of this year and this deal is a step ahead towards the goal. With this move, Intel is in for a fight among giants to establish its supremacy in autonomous vehicle industry. Leading automobile manufacturers like Tesla, BMW and Google Waymo project are already in the race and this new Intel-Mobileye alliance has the caliber to change the future stature completely. After this deal, Intel can become a leader in supplying vital parts like sensors and cameras for autonomous cars or might start a driver-less car project of its own. Whatever the choice may be, Intel wants a piece of cake in the next big thing-Autonomous Cars, that is for sure. Intel CEO, Brian Krzanich, sees it as an integration of intelligent eyes (Mobileye) with the intelligent brains (Intel) that actually drive an autonomous car. Both the companies will work together to achieve a sales target of $10 billion by 2022 which is around $2 billion at present. Mobileye has already worked with most of the automotive giants in this field making software to collect and process data from sensors, cameras and emergency brakes. Nvidia's Drive PX 2 platform is working with Tesla in a similar fashion and will provide a stiff competition to the newly formed alliance. Intel arrived late with their processors in the smartphone industry and was left behind by the Qualcomm Snapdragon. Learning a lesson from the past, this early step might bring huge profits and a whole new market to rule.